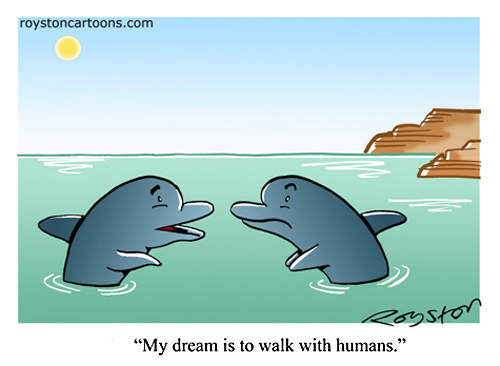 "My dream is to walk with humans." A cartoon from the new issue of Prospect magazine that employs the comedic device known as the old switcheroo i.e. you turn a concept on its head to create a joke. 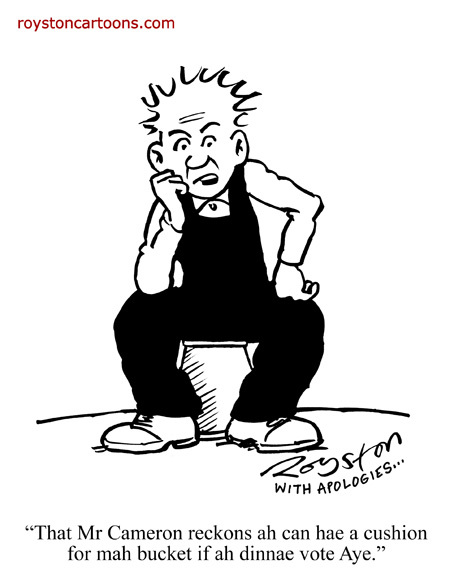 "That Mr Cameron reckons ah can hae a cushion for mah bucket if ah dinnae vote Aye." 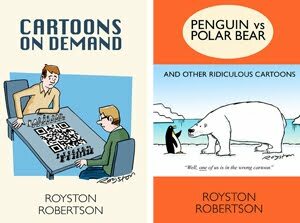 A referendum of cartoon editors voted "No", either because they didn't get the reference or because everyone is doing Scottish independence cartoons. "Sire, the risk-assessment people say, No way." Here's a cartoon from the September issue of Saga magazine. 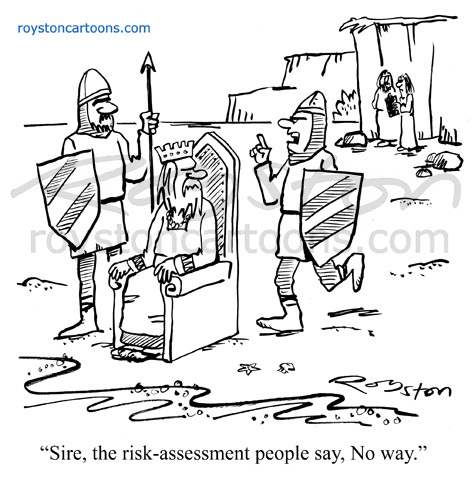 The subject of risk assessments and health & safety regulations has been a rich seam for jokes for some time now.